I want to start this month’s column out with a big announcement. 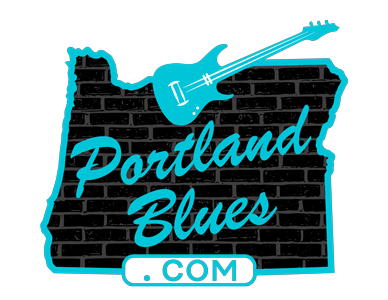 The Cascade Blues Association’s 30th Anniversary Concert has been scheduled for Sunday, May 21 to take place at The Crystal Ballroom in Portland. A huge thank you goes out to Terry Currier and Joey Scruggs for obtaining the room for our event. 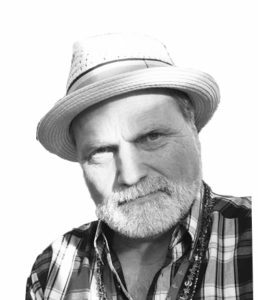 I am currently working with Joey to create a line-up that will represent our local artists from all eras of the Cascade Blues Association’s history. Please keep this date on your calendars because we want this to be an extravaganza for memories. As you know, I have been a volunteer for The Blues Foundation for many years for both their International Blues Challenge and Blues Music Awards events. Each of these bring back so many fond memories every year. This year’s IBC created a good many for certain. First and foremost was witnessing our own entry for the CBA, Rae Gordon & The Backseat Drivers, make it to the finals stage at The Orpheum Theater. It was especially a thrill having them there as I am one of the stage managers making sure that everything runs on time. From the very first vocals of their opening number, “Swing Me,” I knew that this was going to be one of the band’s finest moments. After a little glitch with being introduced before the sound crew was ready to let them start and a few minutes pause before they did that brought edgy nerves for the band I’m sure, they responded with a picture perfect performance that had the large audience cheering loudly with approvals. But it didn’t stop there. When they delivered their take of Otis Redding’s “Dreams To Remember,” truly a challenging song to take on in the city where it was recorded, Rae and the band left nobody doubting their right to be on that stage. Certainly the judges took note, declaring the band the third place winners for the day in what was said to be an extremely tight race between the top three bands. Congratulations big time to Rae & The Backseat Drivers! You did the CBA proud! Rae and the band were also part of the Greater Pacific Northwest Showcase, which the CBA and the Washington Blues Society have helped put together for a few years now. Tony Frederickson from Washington Blues Society, White Rock Blues Society’s Rodney Dranfield and myself served as emcees for the day with all Northwest representatives including the youth acts performing along with guest sets from Ben Rice and Sammy Eubanks. Every artist that took part were sensational, and my personal favorites had to be Timothy James & Ryan Stadler handling the stage like they were decades old pros; Ben Rice’s star-studded set with Pat McDougall, Dave Melyan, Kivett Bednar, Ilana Katz Katz and Mark Telesca; and the Hank Shreve Band’s tribute to the great Paul deLay – I have said it for years now, nobody can play those intricate harmonica parts of Paul’s better than Hank Shreve, and he proved it here. My fiancé Cherie Robbins has been a big part of the showcase the past couple years as well, and Tony Frederickson will be passing on the scheduling of the acts directly to her for next year’s showcase as he will run with the event advertising. Along with Cherie, who worked the entire week as judge’s assistant/time keeper at Club 152 and as judge’s assistant for the solo/duo judges at the finals in The Orpheum, it was nice to see another CBA member, Jeff Levine volunteering this year, too. Jeff worked as a judge’s assistant for the week at Alfred’s and he has written his reflections of the event featured in this month’s paper. Check it out. Working as the venue coordinator in Club 152 I had the chance to meet and hear so many terrific artists. The overall winner of the band competition, Dawn Tyler Watson, competed the first two nights of quarterfinals in the room and it was obvious right from the get-go that this was an act that was well worth catching. Another fun act who Cherie and I also got to talk with for a while away from the competition was Norwegian bluesman J.T. Lauritsen. J.T. played all three nights in our venue and working between accordion, piano and harmonica as well as vocals proved that European blues is alive and in good hands. The best part of the IBC is not about the winning, it is about the networking between the artists and the industry people on hand. Artists can make friends for life with each other through the IBC and it is working together that can make magic happen. It may be a competition, but it is the scores by the judges that they’re going against, not so much each other. They just need to be themselves and do what they do best. One of the greatest acts of camaraderie that I saw during the event came during the quarterfinals at Club 152. While performing their first song in a set a guitarist broke a string on his guitar. Being professionals, the band kept going as he started replacing the broken string, though this may have cost them points in their delivery with the time lost not having him playing with them. Without thinking twice, fellow competitor Jimmy Adler jumped up, grabbed his own guitar and handed it to the man on stage so that they could continue without losing a key member of their band for an extended period. Bravo Jimmy Adler for a true act of kindness and sportsmanship. That is what the IBC is all about. On a side note, I recommend to anybody traveling to Memphis to catch as much great Southern food and Barbecue and to visit the museums around town to learn the history about the music and city. But two things that you should witness are more with viewpoints of the city that when travelling for the music you may not think of. After the event is over every year, Cherie and I get together with our friends (and IBC/BMA producer) Joe Whitmer and his wife Sara for a private day away from music. The past two visits they have taken us on excursions around their city. Last year we took the elevator inside the Bass Pro Shops Pyramid to the observation deck some thirty stories above the Mississippi River. I am no fan of heights believe me and could not pull myself onto the open air deck for too long, choosing instead to look through the windows inside, but this is a view of Memphis and the surrounding area not to miss. They also drove us last year across the river into Arkansas along the Mississippi River Bottoms where a new park and trail was being constructed that would take a path circling the city and the two bridges, much like the Esplanade along the Willamette River in Portland, only connecting to a 70-mile trail on the Arkansas side. The view of the Memphis skyline from the Bottoms is incredible. This year, a good portion of the trail is now open. We walked with their dogs to the Big River Crossing at the Harahan Bridge, but due to the open ventilation of the walkway on the bridge, one dog became nervous and we didn’t make it all the way across – and here I thought I’d be the one turning back due to the height. But the view here is also well worth seeing. My point in all of this is go for the music, but there is so much more to see and do in Memphis and the neighboring states of Arkansas and Mississippi, try to make some extra time to explore the area.